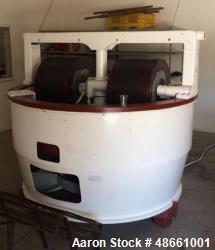 Aaron Equipment is an industry leader in reconditioned, unused, and used chocolate confectionary equipment. Aaron Equipment's confectionary equipment categories include bottomers, breakers, enrobers, chocolate flakers, melangers, melters, mixers, cooling tunnels and more. If you are looking to sell your used chocolate confectionary equipment submit a request online or contact Erik Eichert at 630-238-7480.